Tesco is planning the biggest revamp of its own-brand food in its 99-year history – and scrapping thousands of big name labels from its shelves. The UK’s biggest supermarket has boosted sales of its own-label products by phasing out its Everyday Value brand and clearing its shelves of thousands of non-Tesco items. Tesco said it has been ‘eyeballing’ Lidl and Aldi in an attempt to draw back customers who are being won over by the ultra-low prices and quality offered by the German discounters. For years British chains had filled their shelves with dozens of different brands of similar items such as ketchup, butter, cheese and baked beans. But the German discounters have shown that customers would be happy to accept less choice, if the quality of products was good and they were sold at the right price. As a result, traditional supermarkets have been losing thousands of customers, prompting them to fight back. Tesco recently took over cash and carry business Booker, and Sainsbury’s is desperately chasing a £14.1billion merger with Asda. Now Tesco is plotting its next move by bringing in 15 budget own-label brands, which have been designed and named similarly to local and independent companies, such as Eastman’s Deli Foods and Bay Fishmongers. 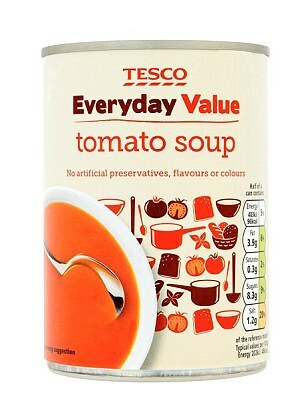 The Everyday Value range will be completely phased out by the end of the year. Meanwhile, the upmarket Finest range will be boosted with products such as ‘restaurant quality’ 32-day aged steaks and squid ink pasta. 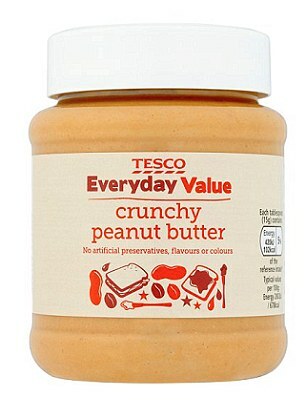 Murray Bisschop, own-brand director for Tesco Food, said: ‘In the 1990s Value was a very specific brand and customers have moved on from that. Customers are far happier buying the new brands and feel they’re getting a better experience. As part of the shake-up, Tesco is cutting back on shelf space for brands like Kerrygold butter. It is also giving more space to independents like craft beer breweries and mixer maker Fever-Tree, which now takes up more shelf space in Tesco than Schweppes. Chief executive Dave Lewis said the overhaul has boosted the number of own-label sales for Tesco. Own-label sales grew 4.2 per cent last year compared with 2.2 per cent across the entire range stocked by Tesco. More than 50 per cent of food sales at Tesco are now own-label, up from around 35 per cent in 2014.